I’ve booked to get my hair cut off on 11th January 2019. (This is the first anniversary of the day Abbi left us to be with Jesus in heaven). I’ve grown it since Abbi’s 21st party when I dressed as Tracy from the musical Hairspray, with bleached fringe (or bangs if your stateside and reading this) and bouffant backcombed bob. My plan is to go as short as I dare, without shaving my head at the coldest time of year! This will mean I can donate hair that’s as long as possible, as a gift to someone who’s treatment has left them bald. 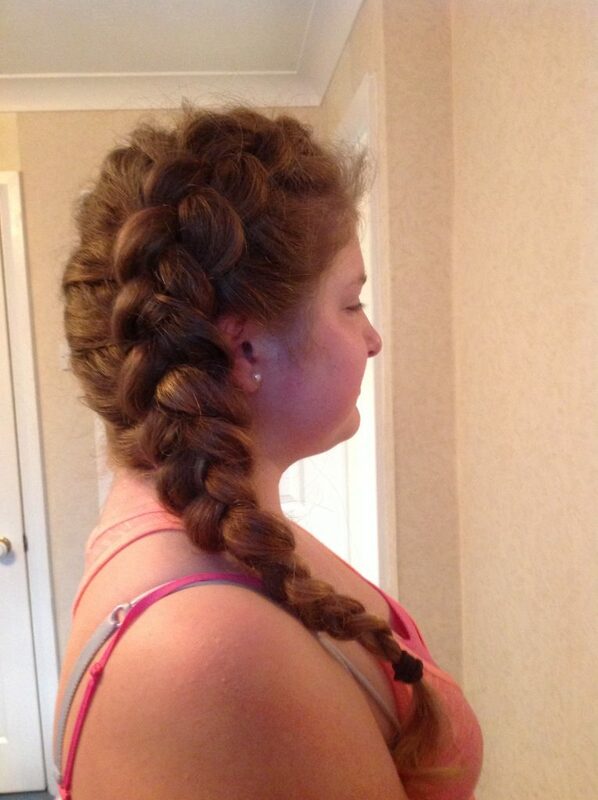 Hair was a thing for Abbi. 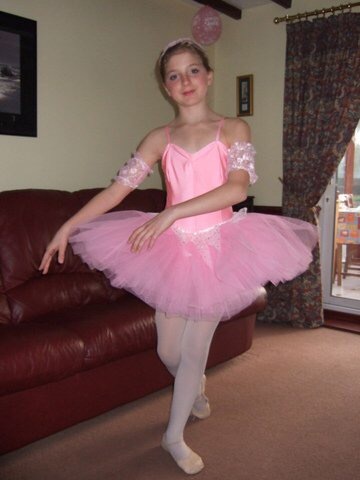 When she came to live with us at 7 years old, we were told that she’d tried ballet, but didn’t like it. So Debbie signed up for classes on her own. Some time later Abbi said she wanted to go too and joined the same class. And loved it. She passed exams, performed in shows and loved dressing up in the costumes and having us come to watch. 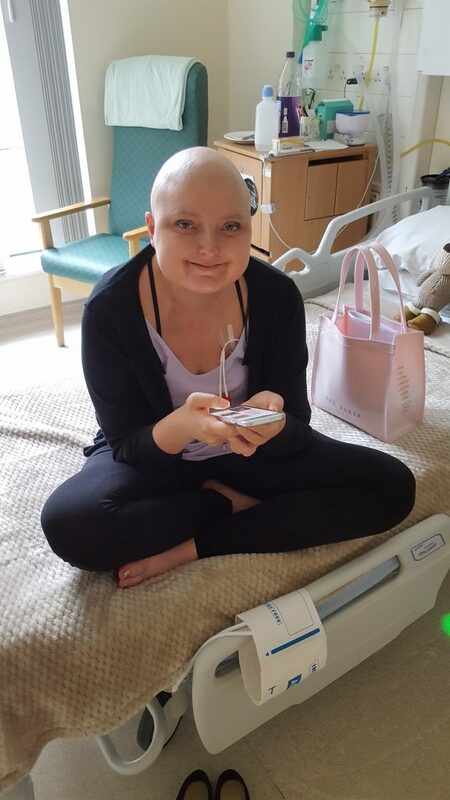 When she was 12 and only just moved up to high school, she was sent to Alder Hey’s Children’s hospital in Liverpool, to be treated for Leukaemia. Of course her hair all fell out and she was given a good quality short blonde wig shaped as a bob. When she was feeling well enough, she attempted to rejoin the ballet class, but there were two barriers for her. One was that she was taller than the other girls because she’d missed so much, that she had to go back to a class with younger children in. This made her feel self conscious and she also hated that her ‘hair’ was so much shorter than everyone else’s. So she stopped going. She explained to me that she couldn’t dance with all the girls because she didn’t feel feminine enough with short hair. It reminded her of being younger and the trauma of being taken into care and having her hair all cut off, really short, in order for the ‘nits’ she arrived with to be fully evacuated. Her foster carers told her how beautiful she was and the cut was professional and beautifully done, but she felt like people thought she was a boy because her hair was so cropped. This had been the reason she’d told her carers that she didn’t like dancing, when they took her to try the local ballet class. I was heartbroken for her. Having short hair had messed with her sense of identity and was associated with the trauma of being taken from the people she loved in her birth family, plus the shame and embarrassment of being ‘punished’ with short hair for having persistent nits. As Abbi’s hair re-grew, she focused her time and talents on developing her love of art and her high school and college work all helped her, to work through the trauma she’d experienced, whilst being treated for the cancer. Although occasionally she’d draw or paint dancers and her heart still loved ballet. Later, at university, she continued using art, as a means of expressing her feelings about the traumatic things, which had happened to her. Although I’d been mortified when she’d told me about her true reason for not dancing earlier, but also had felt hugely privileged to have her verbally confide this secret to me. It was a precious moment of deep trust and whilst painful to hear, was evidence of the special bond we’d developed over the years she’d lived with us. These moments are especially treasured by adoptive parents and can be rare insight into the mysterious mind of the traumatised children, we hope to therapeutically love through into adulthood. When Abbi relapsed in December 2016 we were all heartbroken and once again the treatment robbed her of her beautiful long thick curly hair. This time The Little Princess Trust provided her with a very long wig made from donated hair and it was perfect. She loved it. It could be dyed and curled and changed to suit her mood and whatever the occasion. She didn’t wear it much as she was more comfortable without it. But whenever she wanted to be with people her age, she would wear it and it helped her to cope better with her sense of self and the feelings that she had about being stared at. A “freak show”. 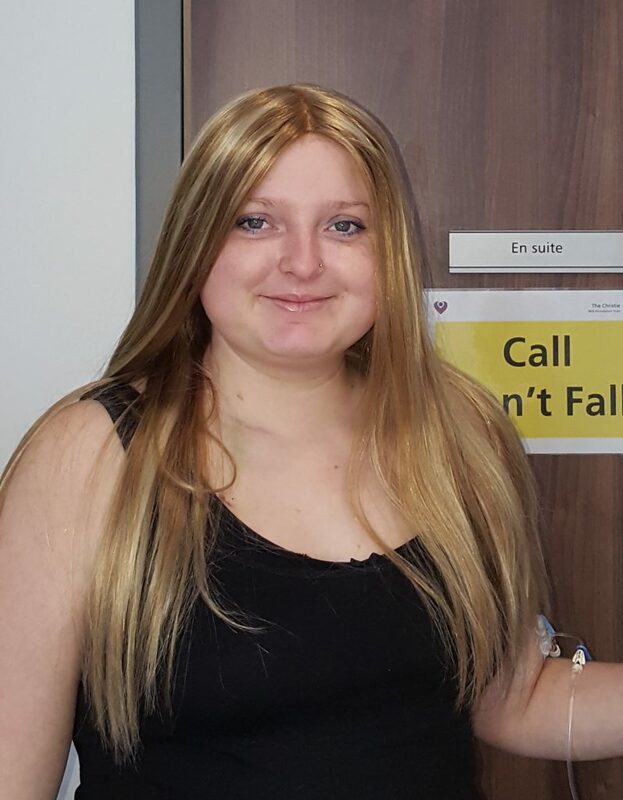 Her body went through so many changes over the last year of her life and the wig help her to feel more ‘normal’. So thank you to the people out there who have generously gifted their hair to help girls like my Abbi to get through the hell that is cancer with it’s horrific treatment and atrocious effects. And when you see me after I donate mine in mid January, you will know why. So please be prepared to be shocked as I haven’t had really short hair since I was 14 and let a hairdresser talk me into getting mine cropped off. I hated it. This time, I don’t care, it’s my way of honouring my precious brave girl and I know it will be a blessing to someone else in a similar place of vulnerability, to where Abbi was, when others gifted theirs as a blessing to her.